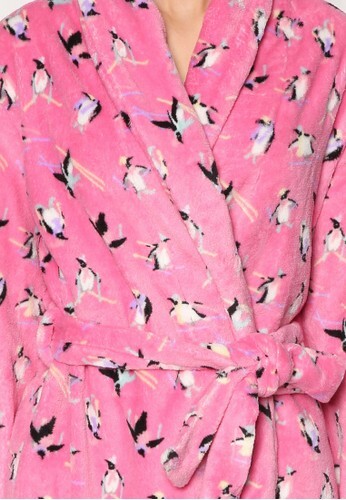 Casually dress in this penguin robe like it's nobody's business. 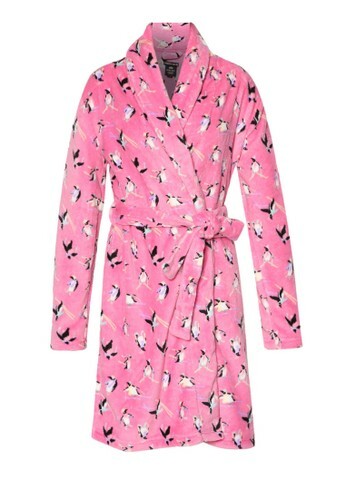 The playful Chelsea Peers robe is designed with fluffy fleece material that keeps you warm in the cold weather. With a waist tie and relaxed seams, once you put this on you wouldn't want to take it off.